shenanigans, leading to change and significant action. Recording in secret is a tool journalists use to help them protect the public’s interest and uncover the less savory parts of our society. For most news organizations, going undercover is reserved for the most difficult stories and often means some personal risk for the journalists. Right now, in Georgia and 37 other states, that kind of investigative journalism is legal. Only one participant in a conversation needs to agree to a recording that secretly captures evidence of bad behavior. Georgia’s current law matches federal statutes. A recording last year of Republican gubernatorial front-runner Casey Cagle seriously damaged the then-lieutenant governor’s campaign. The secret recording was made by another gubernatorial candidate, Clay Tippins. In it, Cagle could be heard saying he supported “bad” policy because it would hurt another candidate in the race. The embarrassing recording was made public during Cagle’s GOP runoff against Brian Kemp; voters resoundingly rejected Cagle. The power of that recording got lawmakers’ attention. Now some want to make such recordings illegal, and in the process they would make it a criminal act for journalists to use one-party recordings to expose wrongdoers. But it’s not just journalists who would become criminals. A domestic abuse victim who records threats or abuse on a concealed mobile phone would be a criminal, too. The illegal recording might be thrown out as evidence in court. And the victim of abuse could actually end up being prosecuted. Even going live on Facebook could create risks. Would everyone being recorded have to agree before the recording is posted? Would video of a street-corner shouting match cross a legal line? Would police have the only authority to record video of a traffic stop? And what about those doorbell cameras? Would recording a conversation with a suspicious visitor at your door be illegal? Would your effort to fight crime by posting that video to alert your neighbors now itself be a crime? And if you recorded a scammer who keeps calling an elderly relative offering high-cost services they don’t need, that could be illegal, too. This bill would take away from Georgia citizens’ ability to protect themselves. The only people in Georgia who would benefit from Senate Bill 59 are bad guys who are likely to be embarrassed by or even imprisoned because of undercover recordings. For the millions of Georgians who don’t break the law, don’t do or say things they shouldn’t, there’s no reason for this misguided proposal. 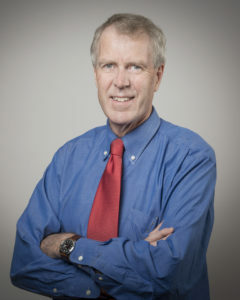 Richard T. Griffiths is president of the Georgia First Amendment Foundation. So politicians are trying to protect themselves by making the citizens criminals! If they were honest and actually working for the citizens, then they wouldn’t need this law!